Hey crafty ones! 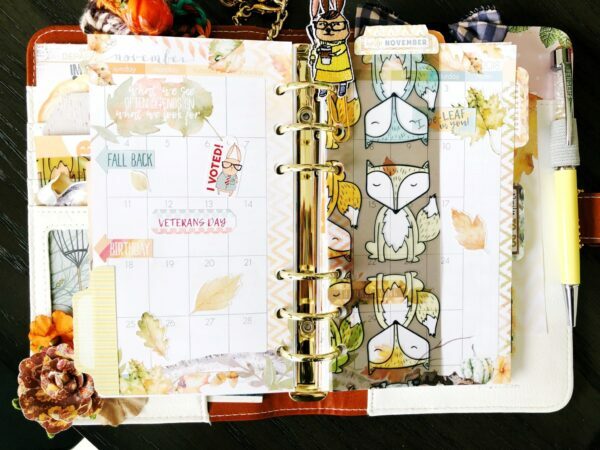 I am so excited to show you my planner set-up for November. I have been playing around with how I have my planner set-up to incorporate my functional planning and memory planning. I absolutely love decorating my pockets just for fun! 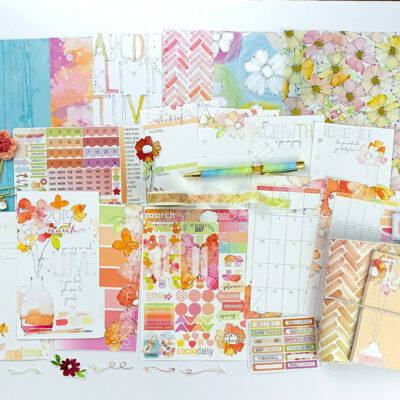 For me it’s a great way to show off all the pretty goodies Cocoa Daisy offers every month. 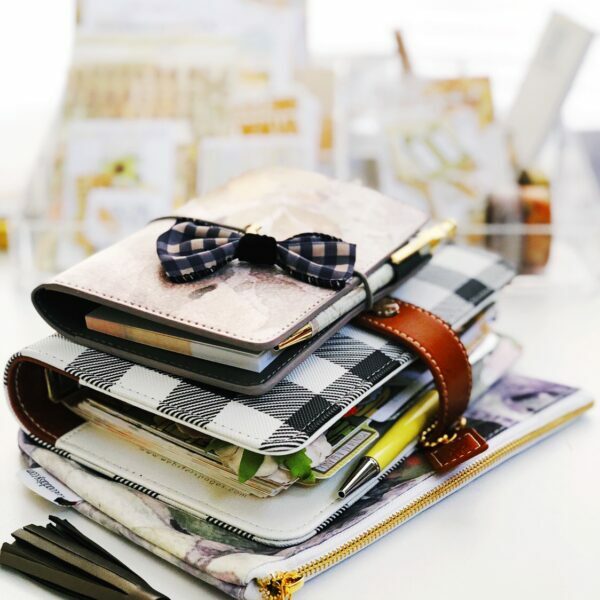 The pocket cards in the memory keeping kit are a perfect way to spruce up your pockets. I then add a layer of sticky notes for functionality. Then I add the top layer of all the pretty paperclips, die cuts, and whatever else I can find that matches. 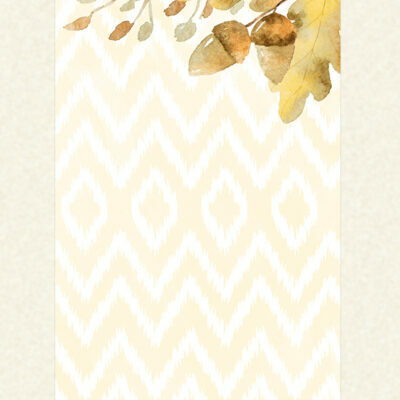 You’ll also see that I keep the stencil in the back pocket and washi tape samples for planning on the go. 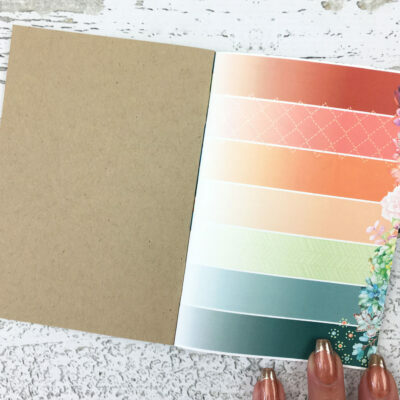 I usually use a pocket card for my washi samples as well! 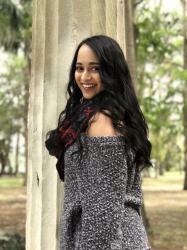 How fun is this little pocket? 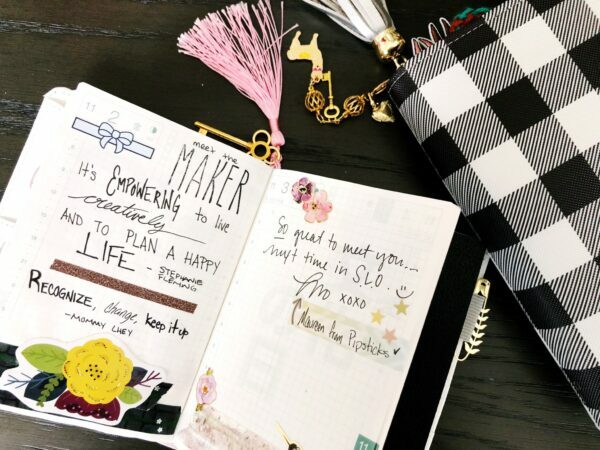 I went to Meet the Maker event hosted by Wandering Planners this past weekend (November 2-3). 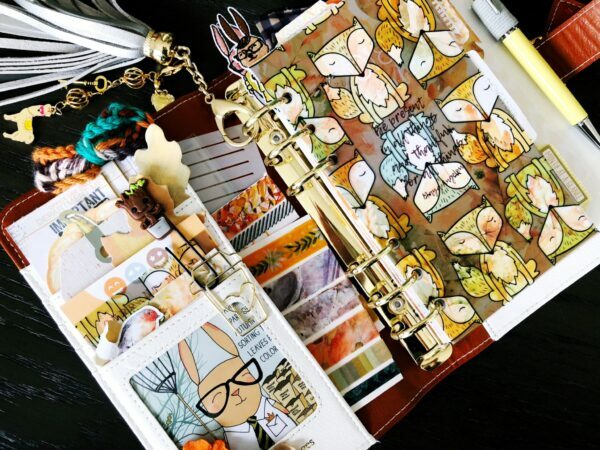 Amanda from Fox & Pip was there and showed us how to make this adorable laminated pocket. It fits my washi cards perfectly! I am a pretty lazy printer so when it comes to the monthly #cocoadaisyplannerchallenge, I usually just write it down for the month. It’s not as pretty as the printable but it gets the job done! 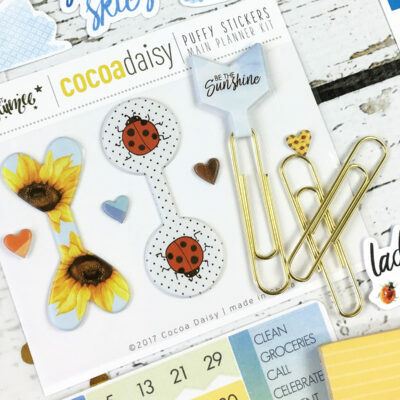 Don’t forget to join in on the fun via Instagram or the Cocoa Daisy Planner Fans Facebook page. I also keep my Cocoa Daisy PenGem in my pen loop, I love the pop of color! Here is a look at my tabs for the month. I have four main tabs- Gratitude, Daily To-Do, This Happened, and Notes. I mostly use the tab label stickers for this. 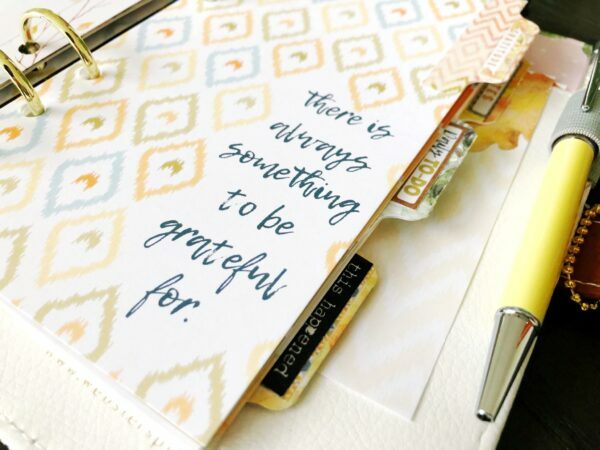 The Gratitude tab houses my week at a glance pages which I was going to use to document what I am grateful for but I have been using it for functional planning. 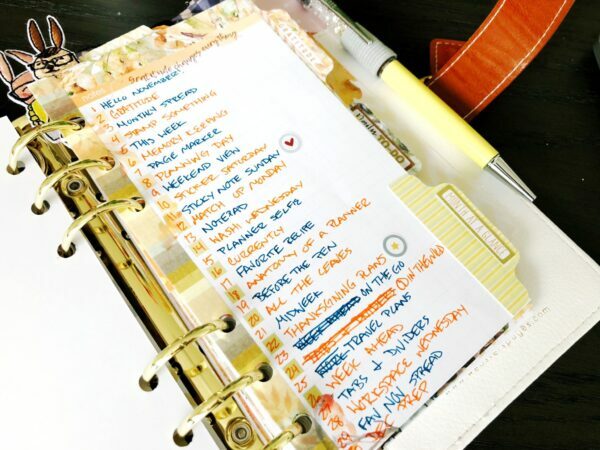 My Daily To-Do has some of the daily pages for busy days. 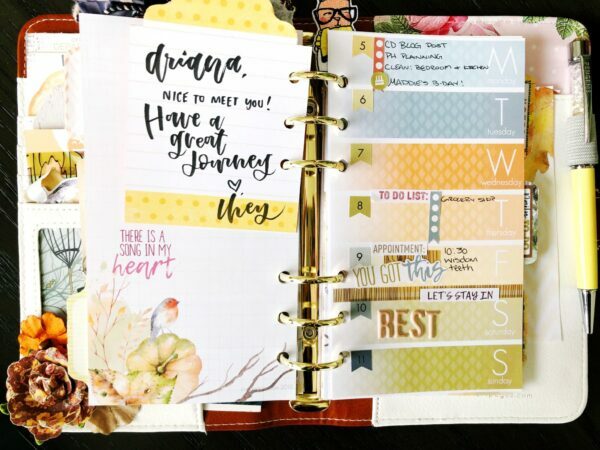 The This Happened tab has my weekly pages where I do my memory planning. Then the Notes section is just my brain dump. Decorating the Month at a glance page is always fun! I typically put main highlights for the month here and then just decorative stickers and die cuts. As I mentioned before, I LOVE incorporating the pocket cards in my planner. Here I traced half of a tab and fussy cut it so I could have a little page marker. Remember, you don’t only have to have side tabs, you can have top tabs too! Here is a glance of my weekly page for this upcoming week. I will write more as the week progresses but for now I have my necessities. Notice the back of my pocket card, I got it signed my Mommy Lhey at Meet the Makers! I wanted to show you all a peek inside my Hobonichi Techno. 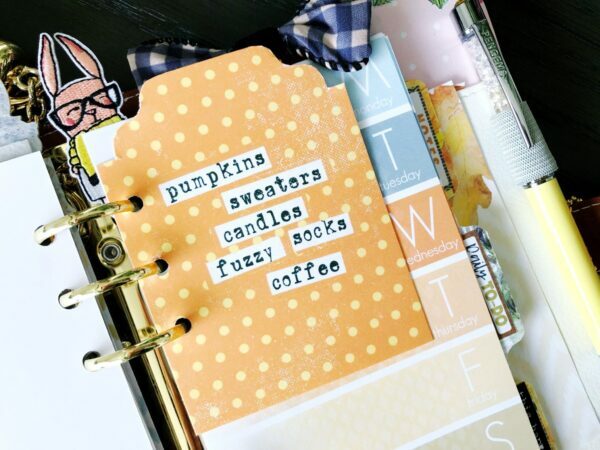 I do a lot of my journaling in here and add bits and pieces of Cocoa Daisy goodies. I took it with me to the Meet the Makers event and had some crafty ladies sign it. Above is Maureen from Pipsticks. 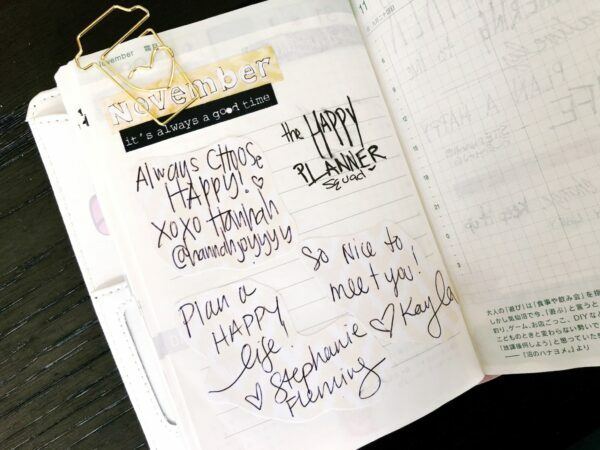 Below is Stephanie, Kayla, and Hannah from The Happy Planner- they signed on November’s notepad that I just fussy cut and pasted into my Hobonichi. 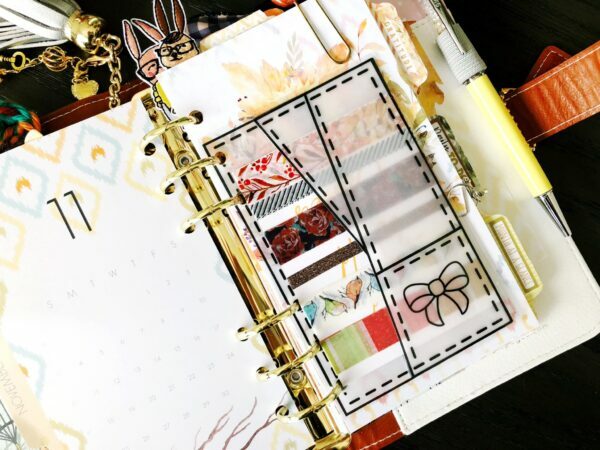 If you enjoyed my flip through of my November Planner, you can see more over on my Instagram! Until next time crafty ones! Thank you so much for sharing your setup! 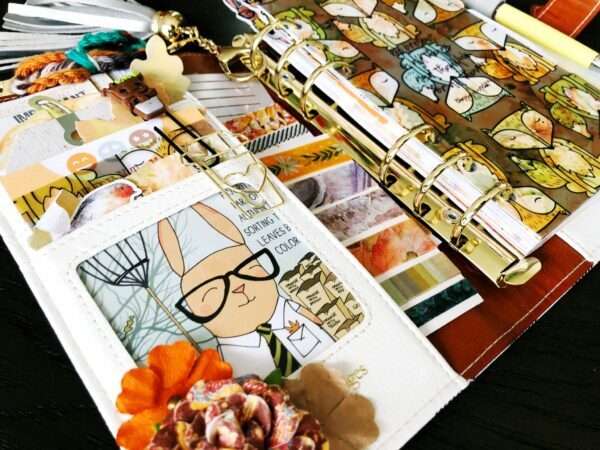 I love how you included so much ephemera into the planner! And thanks for linking all the things – that’s so awesome that you thought of this!